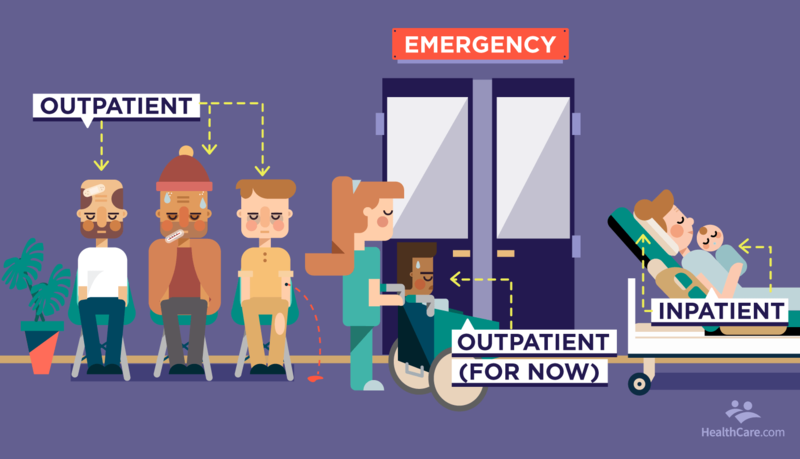 Today, through specialized departments and equipment manned by trained staff, acute care hospitals deliver not only acute inpatient care services but also fulfill a rapidly growing area of health care service - outpatient care. When an emergency dictates and when, in the physician's opinion, a minimum of 24 hours of medical care is warranted, inpatient care can be authorized by an admitting physician or by an on-call physician who is affiliated with the hospital. Due to dramatic advances in medicine, many medical and surgical procedures that used to require inpatient care can now be performed on an outpatient basis. Outpatient services generally include medically necessary treatments or procedures that do not require overnight, medically supervised care. Hence, outpatient care allows patients to return home while recovering. Services that help us stay healthy have also added to the growing outpatient service need. Many acute care community hospitals also offer a wide variety of outpatient rehabilitative services such as occupational, cardiac, radiation, substance abuse and recreational or sports medicine therapies.